I will never forget the first time I visited this magical island in the Atlantic; it changed my life forever. I went there on a solo journey in 1995 with surfboards and camera gear, arriving in Funchal late one rainy December evening. I had no idea what to expect. The only information I had was from a 1994 Surfer Magazine article, which showed awe-inspiring photography by Ted Grambeau (but didn't name the location), and directions to the village in Jardim do Mar (and where to stay) scribbled on a cocktail napkin from a friend who had visited the previous winter. I rented a car and began the long, winding journey along the old roads to the tiny hamlet of Jardim. As the crow flies, the village is only 30 miles from the airport, but before the new roads were put in, the drive took two hours. Madeira is one of the steepest places on the planet - like a giant volcanic rock that juts straight out of the sea - and the old roads hugged the contours of the hillsides and meandered in and out of canyons on the trip westward. I arrived in Jardim do Mar around midnight to discover that the whole town was asleep. My directions were to go to Joe's Bar and speak with Joe, and he would tell me how to find Cecilia's house, with whom I was to stay for the next two weeks. The only problem was that Joe's Bar was closed, and Joe was asleep. I wandered the village in the dark and the rain hoping to run into someone, and praying that they spoke either English or Spanish, as my Portuguese was non-existent at the time. Luckily I spotted a couple walking in one of the alleys, who I proceeded to frighten with my desperate queries, and somehow they understood my lame attempts in Spanish to ask where Cecilia lived and led me to her door. She emerged in her pajamas and gave e a huge embrace. "Bemvindo na casa Cecilia!" she said, which was one thing I understood all too well. Welcome to Cecilia's house! The next morning I awoke to the most wondrous pace I had ever seen. Rainbow-colored cliffs towered over the little village, waterfalls cascading down their faces in every direction to the crystal-clear blue Atlantic below. The small village, all whitewashed stone walls and red-tiled roofs, was the definition of quaint. My first impression was, I thought places like this only existed in fairy tales. But there I was in the middle of what seemed like a dream. I spent the next two weeks exploring the island and surfing, hiking, and drinking espressos and beers at Joe's Bar. (To read more about my trip in a Surfer's Path article, click here.) I fell in love with the island like I have no other place on earth - which led me to revisit it again every winter for the following ten years. Not only is the surfing mind-blowing, but so is the scenery. There was never a day that lacked something to do. Cecilia was like a mother to all of us who stayed with her. She commanded her house like a kindly queen - her strength and her caring attention to her guests was, and is, infectious. I felt as though she was my new Madeiran mother, and to this day she is one of my favorite people on earth. She now operates what is called Cecilia's Surf Camp (to book, email Cecilia pontajardim@hotmail.com). You will get an experience like no other on the island. I think about my first trip to Madeira a lot, especially now while I am visiting Portugal. Cecilia is coming today to Lisbon, and I will see her tonight for the first time in years. My love of Madeira led eventually to the formation of Save The Waves Coalition, and the the global surf protection movement. 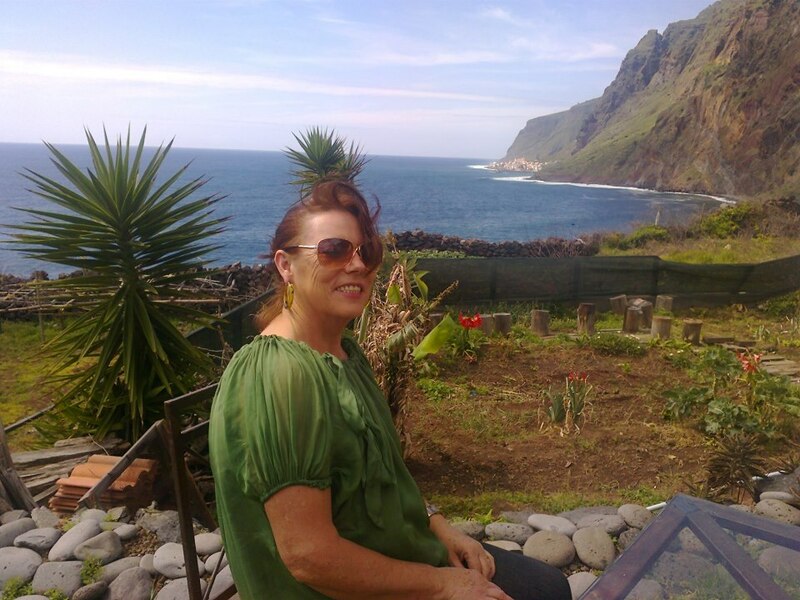 So many of my best friends today were made on trips to the island, and through connections between people who had visited Madeira and stayed with Cecilia. It was as though Cecilia's family had spread across the globe in a truly wondrous fashion. Her influence has made a positive impact on the planet. Published on July 04, 2013 by William Henry.